Dear Friends,Sometime our Computers or Laptop's CD/DVD ROM is not Working or If we have bought a Notebook then there is no solution to install Windows on your Computer without using an USB. But Is it not Difficult to make a Bootable USB? It can be very easy for an advanced User,But it is an Difficult job for a New User. And you are one of Them,Then you should not need to worry about that. 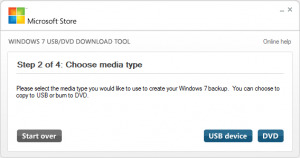 Here i will tell you about an official Tool from Microsoft for Making a Bootable USB. 50 MB Of Free Space is Required on Your Hard Disk. DVD ROM and 4 GB or Greater Pen Drive. 1. First of All You need a Windows 7's .iso File. 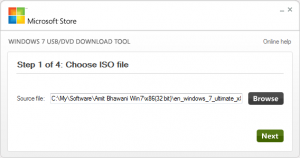 If you don't have a .iso File then you create it from Windows 7 DVD or Any Windows that you wish to Install.To do so Install Nero and then Click on Copy DVD.This will make an .iso file in the destination Folder. 2. 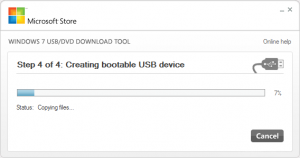 Then you need to install the Tool for making bootable USB. You can Download that Tool From Microsoft's Site. 3. Now Install this tool and Run it. 4. Now it will give you the Option to Select an .iso from your Computer or Optical Drive. 5. Select the .iso File click on Next. 6. Now this will ask you to Choose Media Type. Select USB device. 7. In Next Menu, it will ask you to select a USB Device. Select Your USB Device. 8. 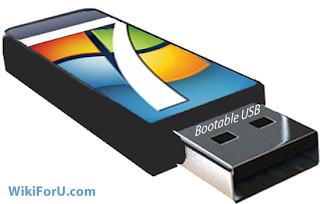 Now in Last Step Tool will Start Creating Bootable USB File in The Destination Folder. Note:Your USB Should be Right Formated and have Free Space. You should only use USB Device of 4 GB or greater.